I do hope that you all enjoy your day however you plan to celebrate it. My card today is titled “Looking Out My Window” but I have to say that it is wishful thinking on my part because as I sit here and look out my window I still see quite a bit of snow. 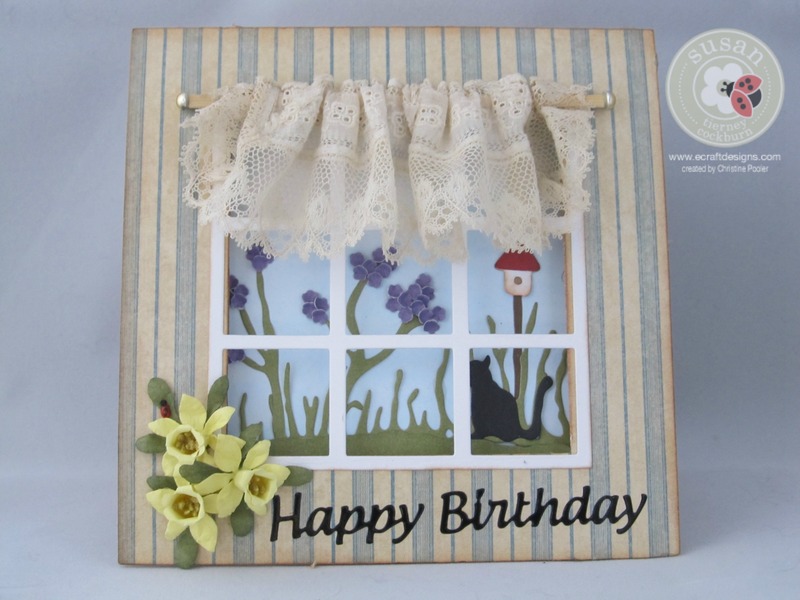 Today is a recessed window card and I used several of Susan’s Garden dies. 1. 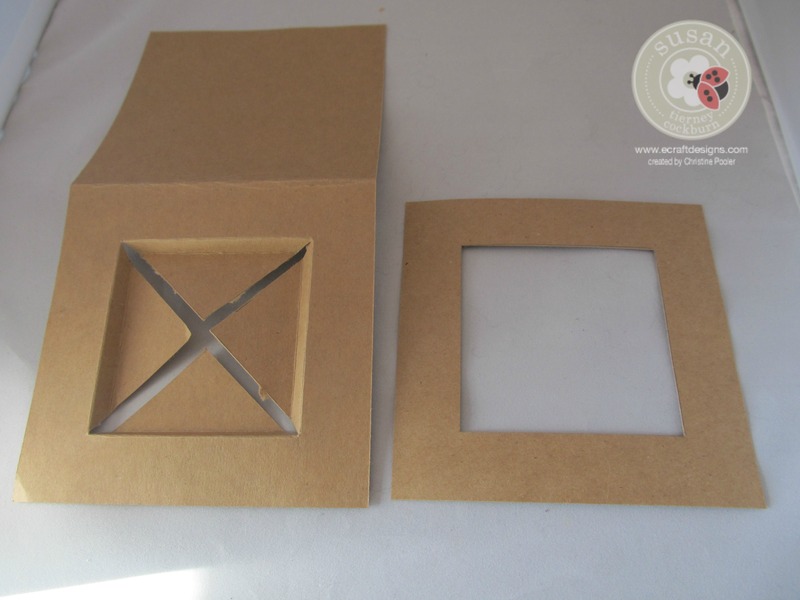 The card base is a recessed window card see tutorial here but I did alter it a little so the window frame would fit. I allowed 1″ all around instead of the 7/8″ this makes the window frame fit. 2. I cut another piece cardstock 5-1/4″ square and cut the same window in center allowing 1″ all around center again (this step does not actually have to be done but it does give window a little more depth). 4. Attach the printed paper to the matching cardstock using ECD Clear Double Sided Adhesive 6mm set aside..
6. Using Susan’s Garden Patch 1-3/8″ & Mini Daffodils cut die cut 3 daffodils shape and assemble see video here it is an old video for larger daffodil but it will help you to make the daffodils. 7. From Susan’s Garden Country Scapes 1 – cut the birdhouse and pole. 10. Cut a 3-1/4″ square of white cardstock and using light blue Pan Pastels color the cardstock and adhere it inside the center of the card base. 11. Build your scene on this piece of cardstock. 13. Using a small piece of antique lace fold over 1 edge glue down making a pocket for the little rod (small pc of dowel). When glue is dry put te dowel through the pocket gathering as you go. Put a little glue at both ends to hold it on the dowel. Glue to top of the window. Add a small gem to each end of the dowel. 14. Add “Happy Birthday” or sentiment of your choice using ECD Peel Off Stickers. Hope you have enjoyed this post and that you will try your hand at it. Thank You Joset it was a fun one to do. Happy Birthday!